– Carnet Promo: 50 hrs + 5 free at € 90 + taxes, 100 hrs + 10 free at € 150 + taxes. The carnet duration is 2 months! Bside is a modern shared workspace: the perfect combination of a business center and shared offices. The physical structure and concept are what make this workspace so innovative: a creative, dynamic and engaging environment where professionals can find the concentration and incentive required to do their jobs. Bside is the Plan B, the working alternative as an update to the traditional private office. Bside represents a new style of life and work for those seeking a comfortable and friendly environment that allows them to carry out their daily activities. 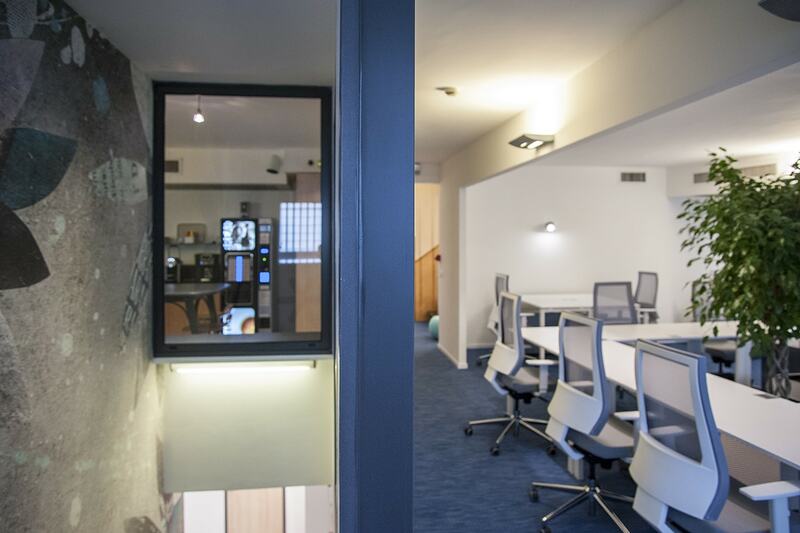 Our workspace is located in Rome’s Prati district, a densely-populated area that hosts many professional studios, offices, and businesses in the retail hospitality and catering sectors. People from all around the world come together in this area of Rome for work, leisure, culture and tourism because it’s centrally located and well connected by public transportation. Shared desks with internet connection and access to the relax corner and snack area. Assigned private workstations with drawers, internet connection and access to the relax corner and snack area. Bside’s cozy and comfortable atmosphere facilitates professional and friendly relationships that allow you to exchange ideas and dialog with different professionals over a variety of projects. It’s a place of work, but you’re also able to take breaks with your fellow workers by relaxing with a coffee or a video game, organize conferences or training courses, and take meetings with clients and colleagues. Bside is where connections are made, especially between the world of freelancers and companies. The possibilities for networking are endless because Bside is next to the historical Pick Center, house of several companies and small to medium businesses and enterprises for years and now offers work spaces in furnished offices, meeting rooms, training rooms and registered business addresses. In this environment, professional dialog becomes even more interesting and networks are enriched and motivated by those seeking advice, professionals and job opportunities. Working in Bside is like feeling at home: the comfort and convenience of space and furniture allow for maximum concentration, but at the same time provide a convivial and hospitable atmosphere with the right level of relaxation, making Bside a unique place to work surrounded by good company! BSide is a collaboration between Pick Center and Work It Out, a young company that was established in 2014 as part of the new and active flexible sharing economy that has evolved to improve living and work life within the existing urban context. Business meeting or training course?